I retired over 5 years ago. Though I had never gone camping I knew I would not like getting too 'close' to nature. No sleeping bag, tent or campstove for this girl! So, my husband and I bought a recreational vehicle or RV for short. 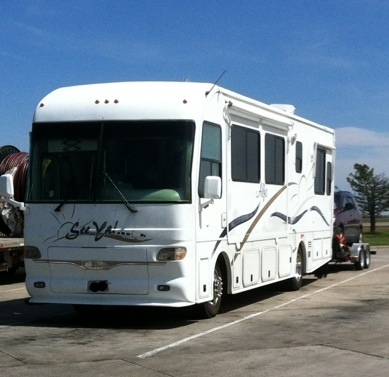 Before my retirement, my husband and I took a couple long trips in the RV we had at the time. I was hooked! We both love to travel, drive and see places. Here are some of the places we have enjoyed, RV friendly routes and RV parks well worth stopping by! This list is no way complete but as I remember more or we discover a 'new' favorite, I will add to the list! I really like Interstate 90 up north - it is THE best route to run east/west. There is much less traffic, fewer problems, many rest stops and fuel stops.